Sultana and Puffin kicking back at the Blue Cross centre at Burford. After several months of care, three ponies from a traumatic background are now ready to be rehomed into caring new environments. The trio were part of a large group of ponies who had been cruelly treated, and it has taken a long time for them to gain the trust of the Blue Cross team. Kestrel is making big strides in her rehabilitation, and will now come when her name is called. 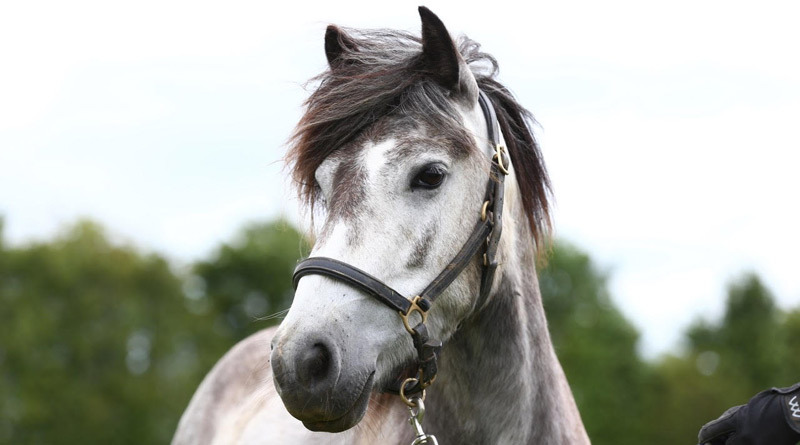 Seven-year-old Puffin, 10-year-old Sultana and 11-year-old Kestrel were some of the most traumatised ponies Blue Cross has ever taken in to its care. Interaction with the group was only possible from a distance at first and it was a slow and skilful process to gain their trust in humans. Patience, consistency and hard work from the Blue Cross team means that the ponies have now built enough self-assurance and trust in people to make them ready for rehoming. “Each pony is now happy to undertake basic handling such as having a head collar put on, being led, and having their feet picked out. They have also reached a level of training in that they now gladly approach their handlers in their pens,” Alford said. Kestrel, Puffin and Sultana are looking for kind and gentle owners who understand that further training will take time and patience due to their sad histories. All three ponies have great potential and working with them will be extremely rewarding. Rescued pony Puffin is ready to go on to a new home. To find out more about giving these ponies a home, please visit www.bluecross.org.uk. Sultana has learned all about trotting poles during her rehab.